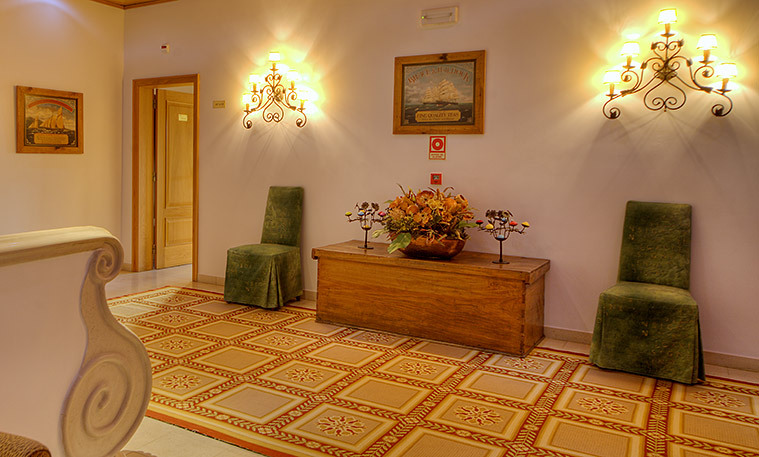 Hotel Dom Vasco offers fantastic facilities so that you can make the most of your stay. 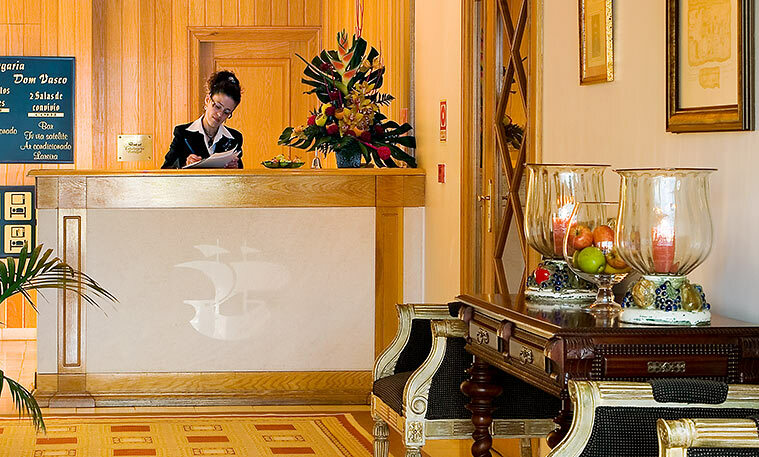 Its central location allows for easy access to the hotel, bettered yet by the parking spaces available at the hotel doorstep. 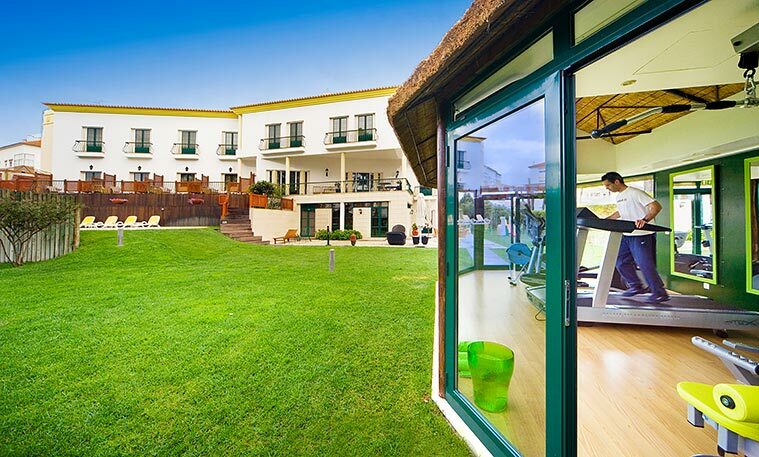 This hotel is equipped with a newly furnished gym, with the latest fitness machines. The long glass windows give way to natural light as well as providing views over the stretch of green grass outside. 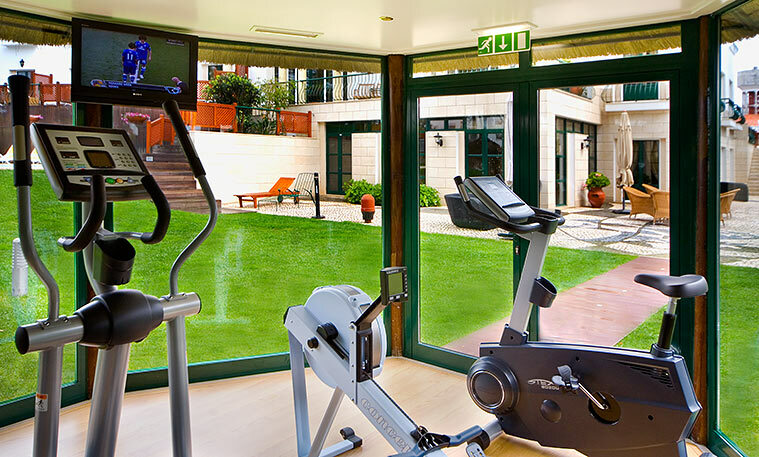 A television inside the room allows you to be further entertained during your time at the gym. 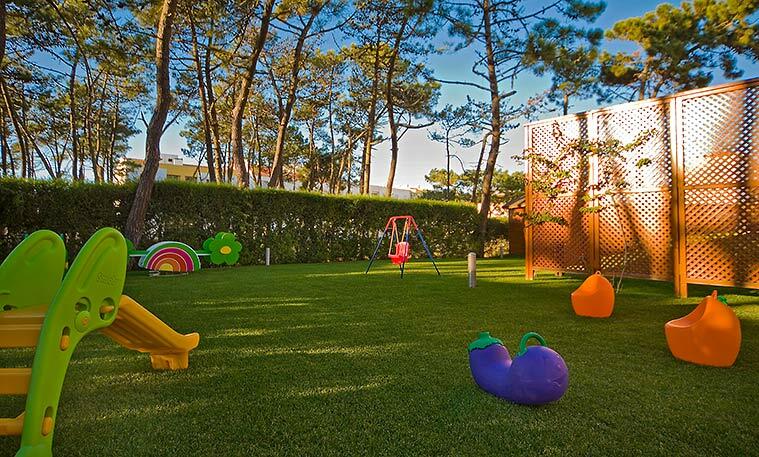 The outside garden is ideal for strolls or for sunbathing during the long summer days. 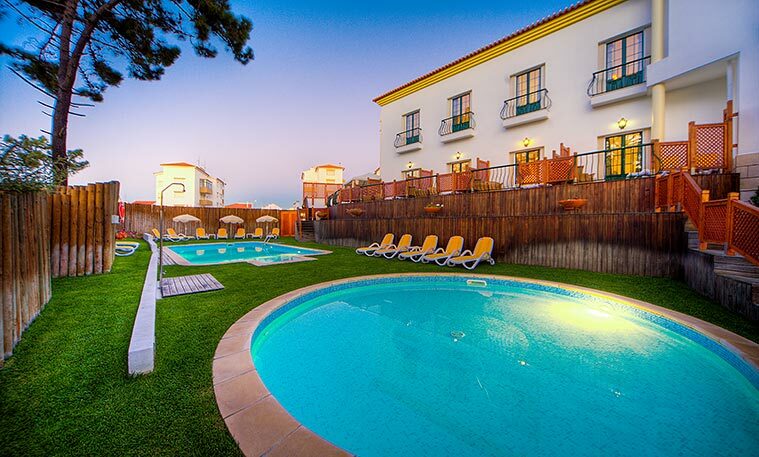 Outside, there are two fantastic swimming pools with long deck chairs placed on green grass that surrounds the pools. One is small and round, safe for children to play in. 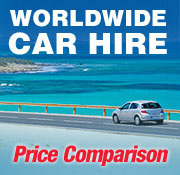 The other is long and wide, ideal for you to swim and refresh throughout the day. This enclosed environment at the hotel gives you the sensation of being in your own private pool. The water is heated; so don’t hesitate to take a dive during cooler days. If you are travelling with your family and small children, the nearby beaches are always a perfect place to spend the day. 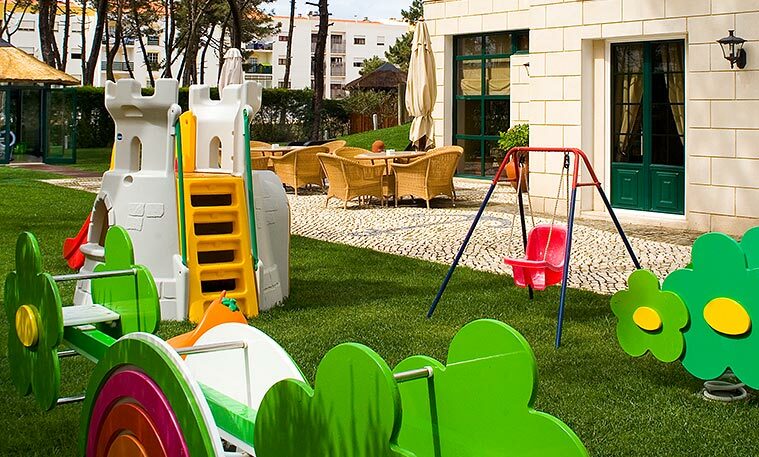 At the hotel you will find a small playground for children to have fun, whilst you enjoy the afternoon by the pool or by having a drink at the hotel’s bar.